Twenty20 Window Cleaning is a locally owned and managed company in Scottsdale, Arizona that provides professional window cleaning and more at competitive prices. We strive to be the best in customer satisfaction, price, and quality. Our goal is to do such an amazing window cleaning job that you, our customer will think of only Twenty20 Window Cleaning the next time your windows need to be cleaned. For this reason we are very particular in each and every pane of glass that we clean. We believe in not only providing clean windows to all of our customers, but even more important is to provide everyone with a customer service experience that exceeds expectations. Currently we offer residential window cleaning, storefront window cleaning, window cleaning of low-rise buildings, as well as other cleaning services. 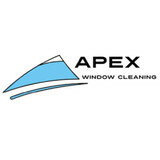 At Apex, residential window cleaning is our business and literally the only thing we do! (So we are really good at it.) With our competitive rates, we're saving you time and money! I have been cleaning windows for over 20 years and this is my art. I am honest, hard-working, and good at what I do. Looking to get your McAfee Activate. Enter 25 digit McAfee activate key; Log in; Activate & Install. 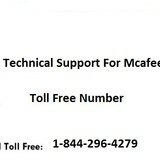 Need help to activate McAfee, Installation or updates; Call McAfee Experts 1-844-296-4279. www.mcafee.com/activate - McAfee Activate & Download. 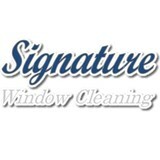 Signature Window Cleaning is Arizona's #1 Choice for professional window cleaning and more! 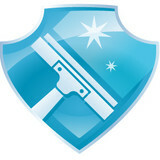 Founded in 2010 by owner Matt Olmschenk, we are a professional, reliable and courteous window cleaning company. We proudly serve the following areas in Arizona Scottsdale, Carefree, Cave Creek, Anthem, Paradise Valley, Phoenix, Pinetop, Peoria, Surprise. Glendale and more ! Let Signature show you how great your windows can look! Our services include window cleaning, glass restoration and more! Family owned and operated since 1995. Our focus has always been to provide the best customer service possible coupled with top quality work, and all at a fair price. We have grown from day one and continue to grow thanks to our very loyal customers and their word of mouth. Our team has grown too, and are an extension of our family. The guys have been with us for years and are as conscientious about their work and reputation as we are. Our business is our livelihood but it is also so much more. A-1 Window Cleaning Inc. was started to fill in a void in the current market and to make a business that people can place their trust in. Over the years we have never lost our commitment to our clients and that is what has allowed us to succeed in a very competitive industry. The employees of A-1 Window Cleaning Inc. stand committed to our purpose and will provide the best service! Sparkle Tech Window Washing LLC is a family owned window washing and cleaning service based in the valley. We will service anywhere in Arizona.We have comprehensive Workers Compensation,General Liability Insurance and we are Bonded. we are registered as a window cleaning service in the state of Arizona in the trades office and a registered LLC in the state commissions office for your protection. ADDRESS : 9419 E. San Salvador Dr, Suite 105-B-2, Scottsdale, AZ 85258 A Better Tint, certified 3M window film dealer, provide window tinting Scottsdale and Gilbert, cars window tinting, window tint for residential and commercial. ClearPro Window & Carpet Cleaning is a full-service professional window cleaning company. We are organized and staffed to meet the needs of the most discerning residential and commercial window cleaning customers. Our service area includes Scottsdale, North Scottsdale, Carefree, Cave Creek, Paradise Valley, and surrounding communities. ClearPro's veteran technicians have been cleaning windows in Scottsdale since 1994. Honesty, Integrity, and Respect are core organizational values. They represent the cornerstone of all our business dealings. Our fully trained, professional, uniformed technicians treat our clients with the utmost in courtesy. Our customer focused office staff is always available to assist you when you call. We strive to continually understand and to exceed our customers’ expectations. I'm Steve Larsen, business owner / operator of Green Solutions Window Cleaning Services based in Scottsdale, AZ. I started out in the residential and commercial window cleaning business in 1998 and have successfully expanded to the greater North East Valley areas of Phoenix,AZ. I formed this company on principles and values all my clients deserve. I perfected these principles in the 7 years I spent in a professional residential and commercial maid and janitorial service business. Knowledge – gaining new and improved skills through training and education. A willingness to look, listen and learn in order to constantly improve performance. Wisdom is gained by maintaining an open point of view. Initiative – dedication to making things better. A proactive approach locating substandard appearances, addresses and performs to enhance a better end result . Dependability is demonstrated by punctuality and perseverance. Detail – employing a conscientious work ethic. Close attention to detail ensures quality and allows others to enjoy a clean and attractive facility. Finished tasks will be thoroughly inspected to eliminate substandard work. Efficiency – embracing improved technology and employing proficient work skills. Reducing wasted movement, non-productive activities and unnecessary tasks is a worthy goal. By setting a steady pace, each job can be pushed along to efficient completion. I hope that your experience with Green Solutions is exceptional in every way- so exceptional that you recommend us to your friends and neighbors. At Kevin’s Window Washing, we strive to exceed the expectations of each and every customer. We do that by using the highest quality products and through out attention to detail. You'll notice the difference immediately when you choose us to clean your home or business windows. Hiring a high-quality window cleaning company is an important decision and we'll provide you with outstanding service. Call us today for a free estimate. Get your windows squeaky clean! Persnickety Window Cleaning, LLC is a family owned and operated business, with offices in Phoenix, AZ/ We are a 2 year old business with 15 years of experience and a proud member of the BBB. Servicing client's valley wide and Tucson area. Persnickety continues to use the most innovative tools and technology. We offer competitive pricing with long term relationship. Our services are guaranteed to your satisfaction. Persnickety use safe and earth friendly detergents and soaps they are water based and biodegradable. We hope to have the opportunity to brighten your day. KC’s Window Cleaning & Sunscreens has been providing professional window cleaning services and products to Arizona residents and businesses since 1996. As a family owned and operated business with an A+ BBB rating, you can rest assured that you’re in good hands. We hope you like the photos of real homes KC cleaned here in the Valley of the Sun.